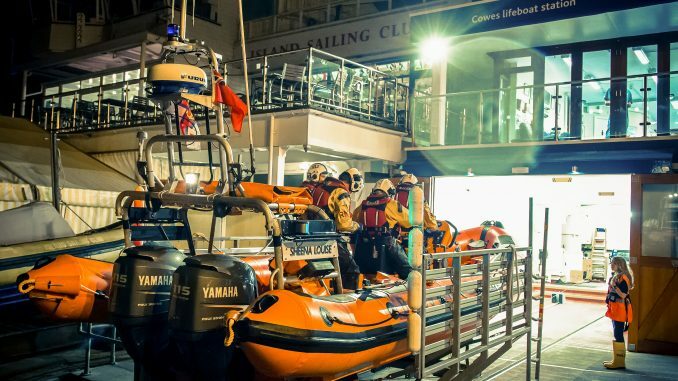 The Atlantic 85 and another lifeboat finally came to the rescue of a nine-metre yacht that had run aground on Sunday evening in Solent on the Bramble Bank. The RNLI’s Atlantic 85 which is based in Cowes was nearby carrying out exercises when the yacht ran aground. The Cowes was finally able to take the yacht under town with the assistance of another lifeboat, Hamble. The yacht had a severely damaged rudder as a result of the incident. There were four people in the yacht which was taken to Cowes Yacht Haven after the rescue.